Store bought laundry products that are found in a lot of households will typically have chemicals and a variety of additives that are toxic. A good example is commercial dryer sheets used to make your clothes feel soft and smell fresh. 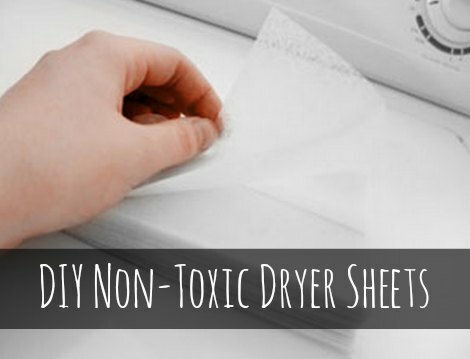 If you want another alternative, then homemade non-toxic dryer sheets are the best option. Homemade non-toxic dryer sheets are meant to soften a light load of clothes. However, these will be reusable and means they are a cheaper option than any store bought product. A few supplies are all that is needed for this project. Vinegar that may already be in your kitchen is a main ingredient. A plastic container with a lid is needed for your non-toxic dryer sheets. The mixture you make will need to be added to the container periodically to ensure your dryer sheets are ready to use when needed. One important detail to remember is to not use these items with bleach.